Military life can move at a fast pace, and sometimes it seems that one move comes right after the last. When you are on the go and need a storage unit to house some of your belongings, you can count on Out O’ Space Storage to serve you. As a military member, you will receive a discount on our services. 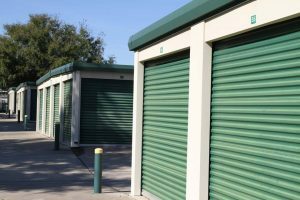 Contact Out O’ Space Storage right away if you are moving as a result of a Temporary Duty, Temporary Additional Duty, or Permanent Change of Station. We are always happy to serve military members, and we would like to thank you for your service. We are also able to offer discounts to college students who are in need of a storage unit. Students from nearby schools like Stetson University and The University of Central Florida will enjoy great prices and excellent service when they choose to store with us. If you fall into either one of the categories above, the next step is an easy one – contact Out O’ Space Storage to reserve your unit right away.